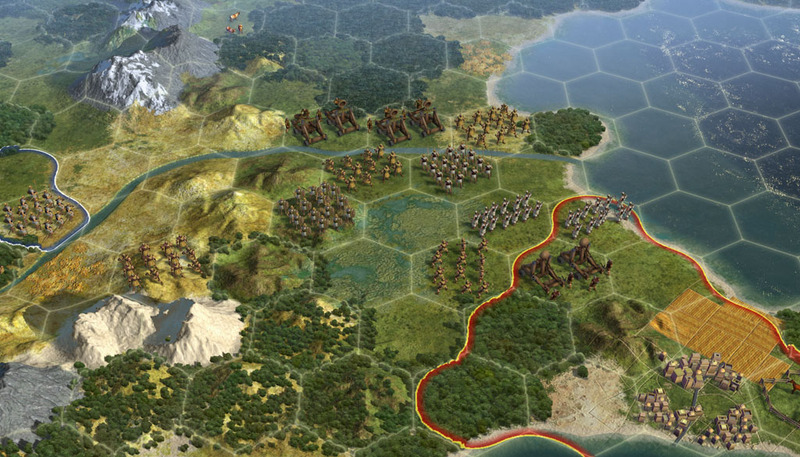 Civilization 5 has been announced, published by 2K Games, and will be released this Fall exclusively for the PC. * An “astonishing” new engine with stunning graphics. * More realistic landscapes and environments than ever before. * And an “extensive suite” of community, modding and multiplayer components. 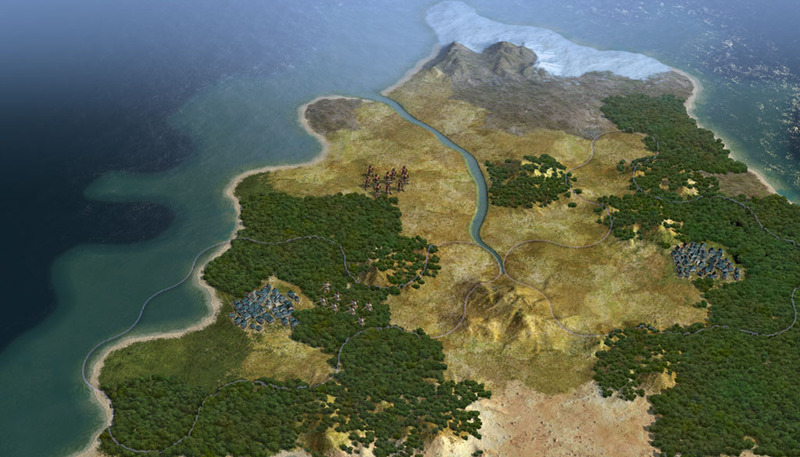 Last Civ game was a console only affair, when they tried to take the Civ game to the console market and abandon the old PC crowd...didnt seem to take off as well, no real suprise as a Civ game can take hours if not days... if you really got into it. I must try the normal Civilization I think I'll start with this one, I've only played Galactic Civilization series, basically similar only in space with alien species and pew pew laz0rs. Longest game I played totalled 49hrs spread over a week. Indeed great game, didn't know there will come a new one. Hex grid instantly makes me think...Battletech TBS. 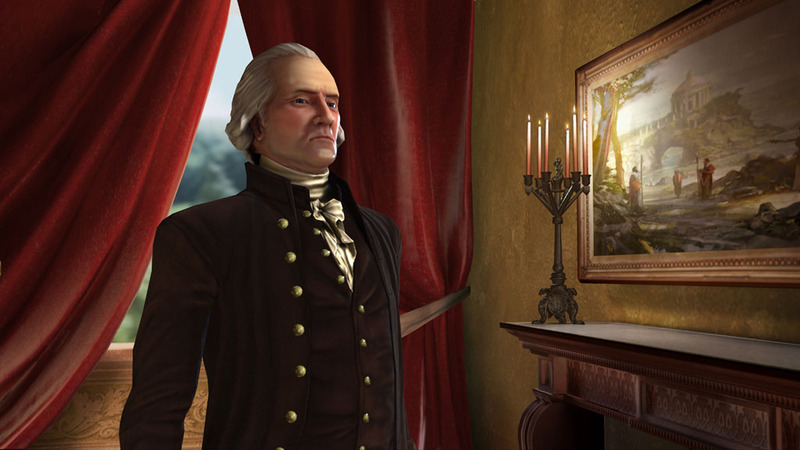 We already told you that Sid Meier's Civilization IV was finally getting a sequel with Civilization V later this year, and then we showed you the trailer that contained absolutely no gameplay. But now we've actually seen an early build of the game, and we can tell you how hexy it is. That's right, forget about old Civilization games which had four cardinal directions plus diagonals to choose from when moving your units; this installment ramps that down to to six. That's right! Two less directions! It's a brand new game! 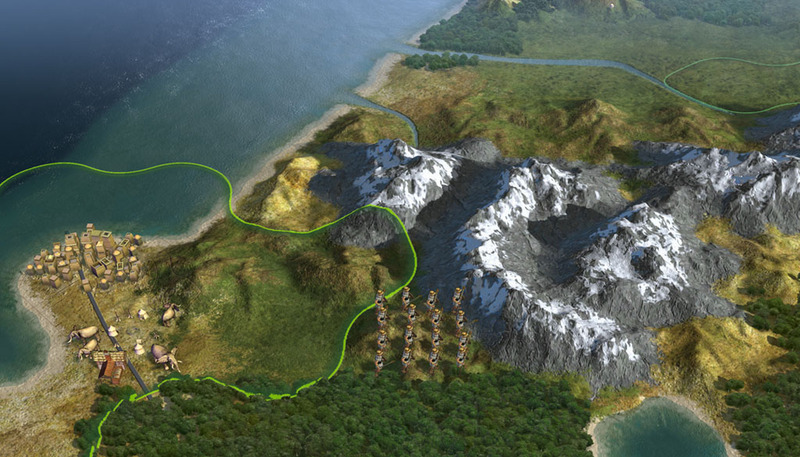 In all fairness, it is Civilization but Firaxis made plenty of substantial changes to it. Besides hexing it up, they've also added ranged units (think archers, artillery, ICBMs, etc) and taken out the ability to stack units up into an army. Also, only one unit can occupy a spot at any given time, meaning you won't be able to bulldoze your opponent from one hex. They've also built an entirely new engine for this game, meaning you'll see some really nifty stuff ... provided you have a DX11 card and a multicore processor. If your computer is powerful enough, you'll really see the graphical jump: waves roll lazily across the ocean; horses stomp on the ground and eat grass; military units adjust their gear. It's a living world with new environment squares hexes that have different terrain depending on which continent you're viewing. Think: Wide sweeping plains, majestic, snow-capped mountains, dense forests, lakes full of slowly oscillating water, and more. This is why your graphics processor and CPU are going to need a real head of steam. You'll also see full-motion video of the other leaders and be forced to observe their body language; however, you won't be able to see the on-screen modifiers that communicate things like "Japan is pretty pissed off at you." In our sample game, we approached George Washington and offered him some "luxury resources" to keep him sated, but he wasn't happy with them. Thus, war was declared on the Americans. Ol' Cherry Tree himself responded by taking a step forward, lowering his voice and saying, "You have mistaken our love for peace for weakness. You shall regret this!" Wooden teeth must make you pretty cranky. City-states are also being introduced as cities that don't represent an entire Civilization, but can help or hinder you along the way. They won't attempt to grow beyond their own borders, but you can negotiate truces with them, ask them for help, or squash them and just add their city to your growing empire without the need to expend a Settlers unit. But your opponents can also do the same. In our demo, the player played nice with a nearby City-state, offering them a one-time gift of gold. As a thank you, they would send a new unit our way every now and then. It's a nice way to get new units without spending the resources on them. Also new will be a full-fledged world builder, and full support for modders (thanks in no small part to lead designer, and former Civ modder, John Schafer). There will be a database of mods that you can access through an in-game web browser; you can also vote for mods or even cruise through the forums while waiting for other players to move. 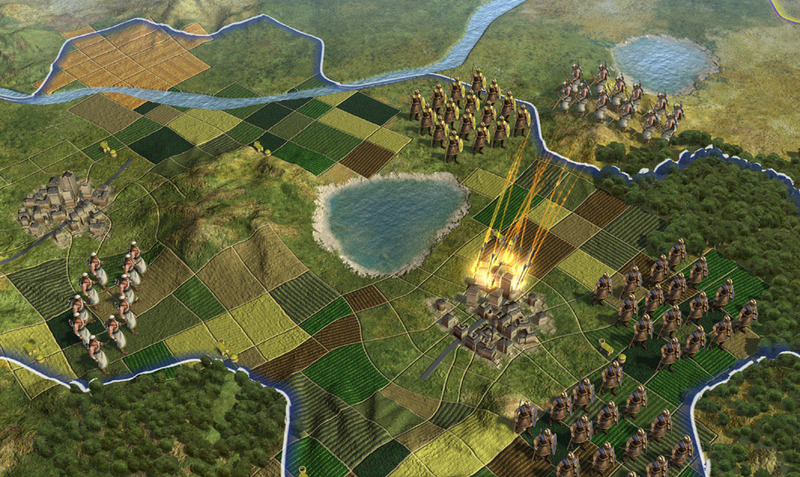 An in-house joke at Firaxis is that players will be able to load up and play Sid Meier's upcoming Facebook-based Civilization Network while their Civ 5 game loads. Which is probably funny until they realize that they're making fun of their own load times. 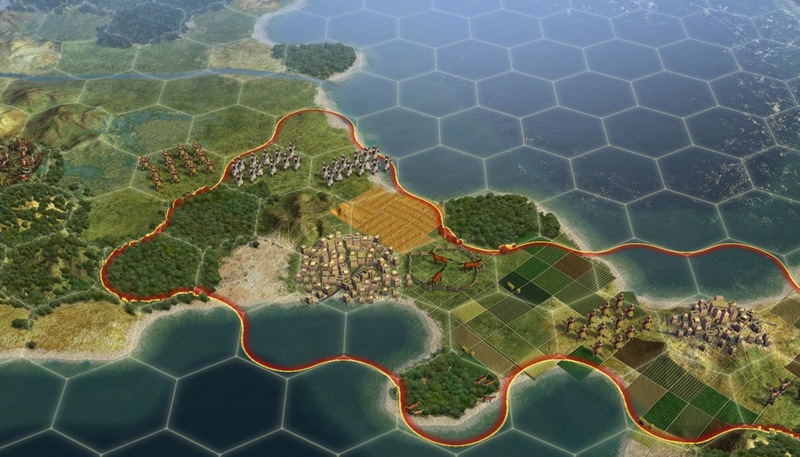 Supposedly the team learned a lot about streamlining Civ V's controls by looking back at Civilization Revolution -- though that doesn't mean Civilization V will be coming to consoles. We asked if it would possibly be coming to the Mac, an especially timely question given Monday's hot and steamy announcement, but a 2K representative told us, "We can't comment on that right now." Which smells a lot like, "We'd better start work on a Mac version pretty darn quick." Looks pretty good, I'm looking forward to 'Expanded diplomatic options'. Spent far too many hours playing the last 4 - will happily spend more hours with this one. 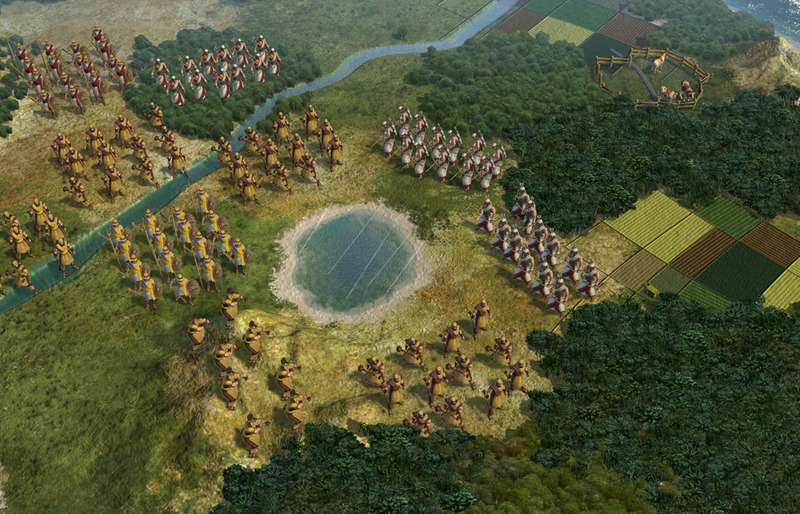 Just 4 days left until Civilization V is released! Note: If you're in the UK it's cheaper to buy the game from Amazon UK (£24.99) than it is to buy it via Steam (£29.99).